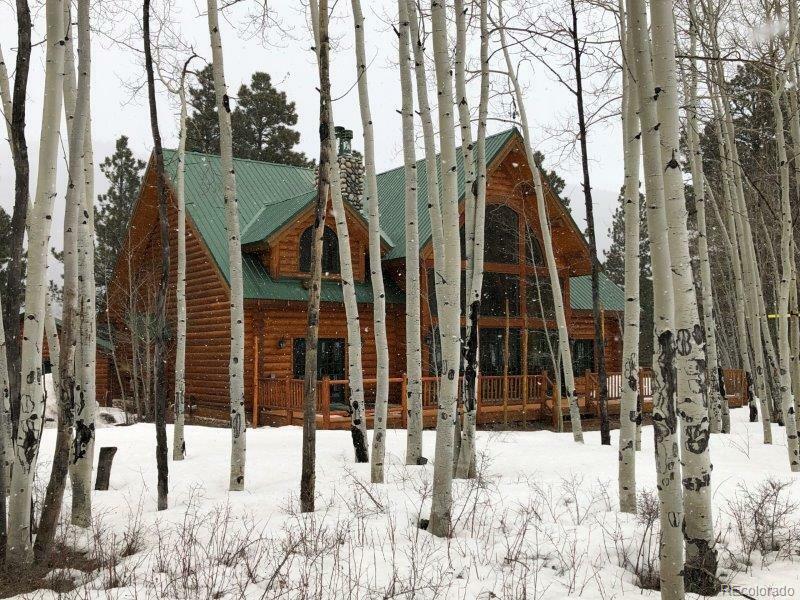 This majestic 3,300+ s/f mountain home is nestled in the aspens of the Bear Creek subdivision. 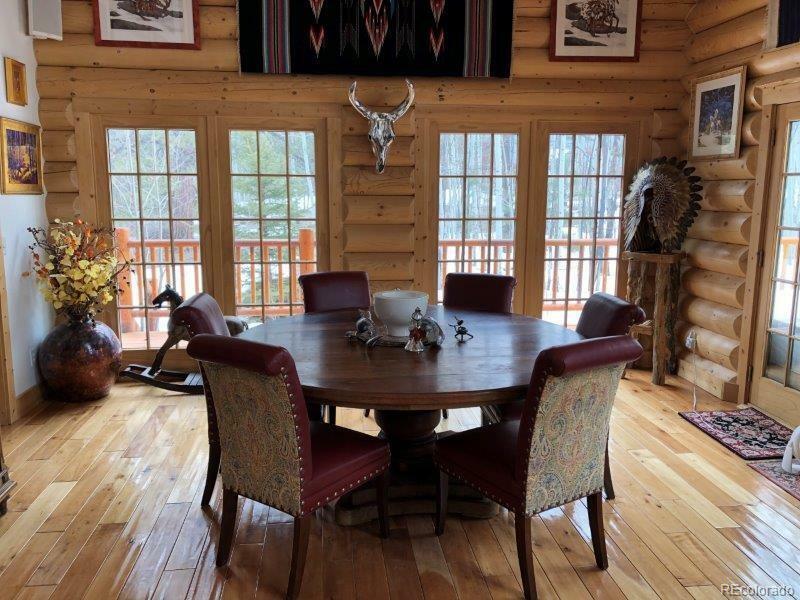 With one of Colorado's most pristine trout fishing waterways running thru the subdivision-The Conejos River and with unlimited access to the Rabbit it is perfect for the avid fisherman and adventure seeking explorer. This well designed floorplan that includes 3 fires places. 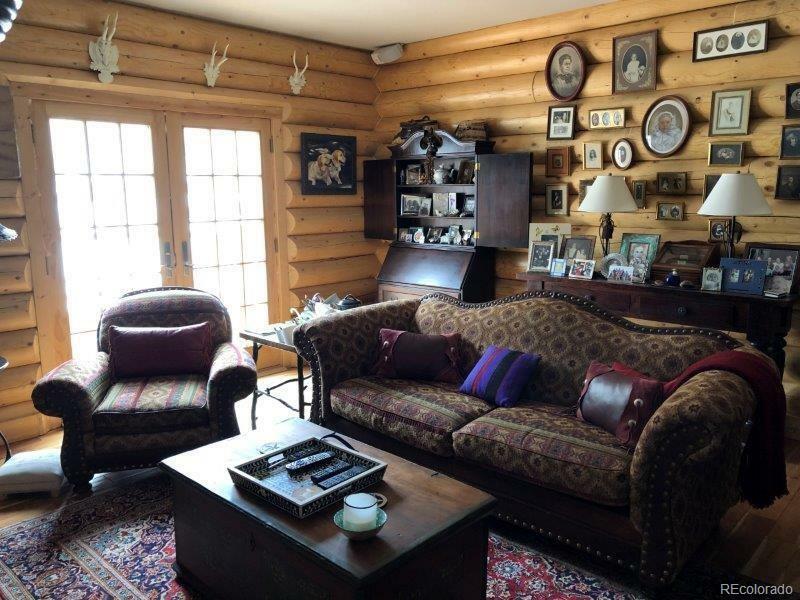 A large wood burning fireplace is the center piece to the inviting & cozy living room. 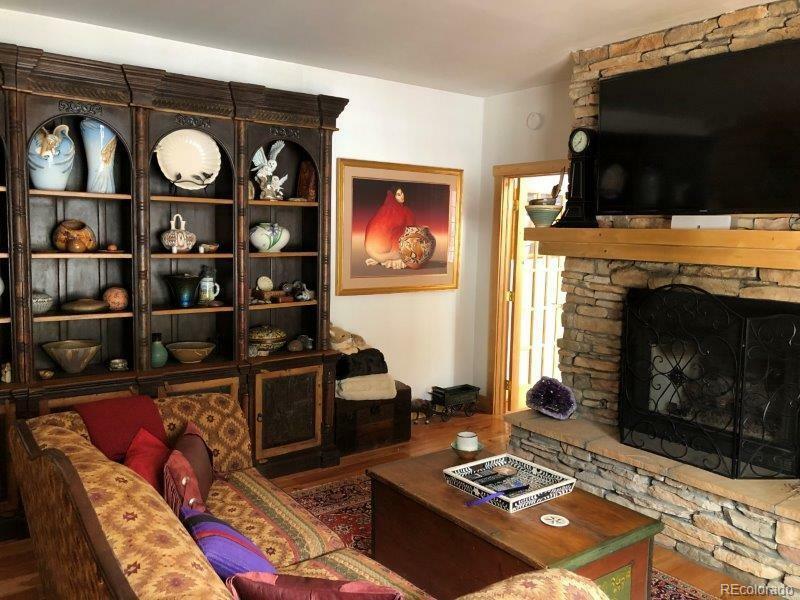 With 1 of 2 gas fireplaces located in the den. The master bedroom has the other fireplace. Words are hard to find to describe the kitchen in this beautiful home and with a butler pantry, it has to be seen to be truly appreciated. The spacious dining room has a gas stove for those nippy nights being spent having dinner with family & friends. Share the gentle breeze with the abundant wildlife that call this part of the Rio Grande Nat'l forest home while enjoying the stars in the outdoor hot tub or just relax in the upstairs sauna.